Maken, a 54-year-old former minister in Dikshit’s Cabinet, stepped down as Delhi Pradesh Congress Committee (DPCC) president on January 4. 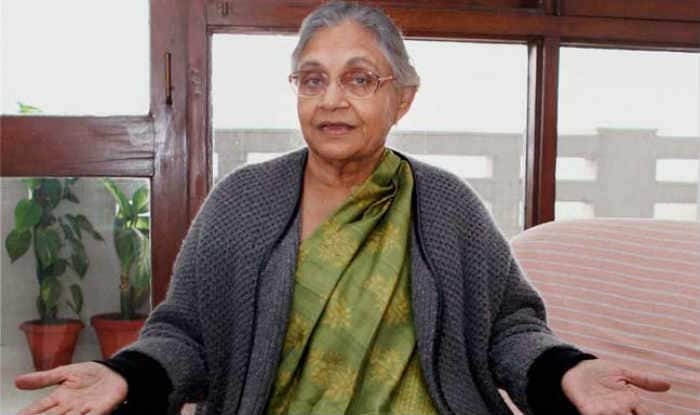 New Delhi: Former Delhi Chief Minister Sheila Dikshit was on Thursday appointed as the new president of the Delhi unit of the Congress, succeeding Ajay Maken who resigned from the post last week. Dikshit will be assisted by three working presidents, Devendra Yadav, Rajesh Lilothia, Haroon Yusuf, announced Congress leader P C Chacko. Following her appointment, Dikshit thanked the party leadership. “I am honoured that the party has given me this opportunity,” she said. Dikshit served as Delhi CM for three consecutive terms till 2013 when the Congress lost power. Maken, a 54-year-old former minister in Dikshit’s Cabinet, stepped down as Delhi Pradesh Congress Committee (DPCC) president on January 4, citing health reasons. The change in party leadership in the national capital comes at a time when the Congress is leaving no stone unturned with the Lok Sabha elections just few months away. 80-year-old Dikshit will have a tough task in hand with the party reportedly in alliance talks with Arvind Kejriwal’s Aam Aadmi Party (AAP). According to reports, both Maken and Dikshit were uncomfortable with the Congress thinking of joining hands with the AAP. However, Chacko on Thursday clarified there were no talks within the Delhi unit about alliance with the Aam Aadmi Party (AAP) and that the party was fully prepared to contest the parliamentary election on its own. Dikshit’s foray into the political arena in Delhi happened after she lost four consecutive Lok Sabha elections in Uttar Pradesh and in 1998, Sonia Gandhi gave her the responsibility to head the Delhi unit of the party. The Dikshit government is credited with introducing CNG buses, building roads, flyovers and underpasses, increasing the city’s green cover and there are a number of photographs related to these in the book. Dikshit made her debut in electoral politics in 1984 as a member of the Indian National Congress, contesting and winning from the Kannauj parliamentary constituency in Uttar Pradesh. As the wife of an IAS officer and daughter-in- law of well-known freedom fighter and politician, Uma Shankar Dikshit, with his long association with the Nehru-Gandhi family, she saw governance from both ends. When she began assisting her father-in- law from 1969, her up-close view of politics eventually became a springboard for her own entry into the arena in December 1984, inaugurating a 30-year-long career in politics.